Brian Freeman is an international bestselling author of psychological thrillers, including the Jonathan Stride and Cab Bolton series. His books have been sold in 46 countries and 20 languages and have appeared as Main Selections in the Literary Guild and the Book of the Month Club. 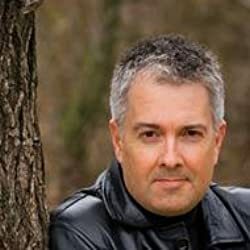 He is widely acclaimed for his "you are there" settings and his complex, engaging characters and twist-filled plots.His seventh novel SPILLED BLOOD won the award for Best Hardcover Novel in the annual Thriller Awards given out by the International Thriller Writers organization, and his fifth novel THE BURYING PLACE was a finalist for the same award. His debut thriller, IMMORAL, won the Macavity Award for Best First Novel and was a nominee for the Edgar, Dagger, Anthony, and Barry Awards. IMMORAL was named International Book of the Month, a distinction shared with authors such as Harlan Coben and Lisa Unger. Freeman's newest novel is SEASON OF FEAR, the latest to feature Florida detective Cab Bolton. Bestselling author Linda Castillo says: "SEASON OF FEAR has everything: unexpected plot twists that keep on coming, a smart and charming hero, and a setting that's as sultry and dangerous as a tropical storm. It will blow you away. "His books include: IMMORAL, STRIPPED, STALKED, IN THE DARK (also called THE WATCHER overseas), THE BURYING PLACE, THE BONE HOUSE (the first book in his Cab Bolton series), SPILLED BLOOD, THE COLD NOWHERE, and SEASON OF FEAR. He also has two bonus stories in his Jonathan Stride series, the short story "Spitting Devil" and the novella TURN TO STONE.Top bestselling authors recommend Freeman's novels. Lisa Gardner calls him "a master of psychological suspense." Michael Connelly says, "This guy can tell a story. "Freeman was born in Chicago and grew up in San Mateo, California, before moving to Minnesota. You can write to him at brian@bfreemanbooks.com and find him on the web (bfreemanbooks.com), Facebook (facebook.com/bfreemanfans), Twitter (@bfreemanbooks). Please enter your email address and click the Follow button to follow Brian Freeman!